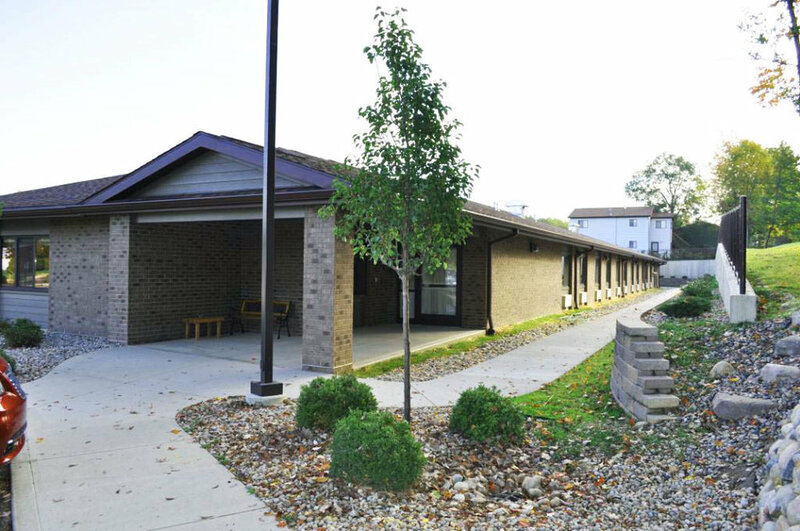 Hoch Associates worked with Covenant Care to add a new rehabilitation wing and complete a major interior renovation to the existing Lakeland Nursing Facility in Angola, Indiana. The addition includes a new therapy room with training kitchen, patient dining room and lounge area, conference room, nurses station, medical records office, 2 private resident rooms, 4 shared two-bed resident rooms, and 10 semi-private two-bed resident rooms providing a total of 30 new beds in the addition. Hoch also designed phased interior renovations of 19,000 s.f. of space in the existing facility. Projects included upgrades to the central lounge, day lounges, 7 private resident rooms, 19 shared two-bed resident rooms, dining room, 3 nurse stations, and corridors.